Shorts International has been distributing short films via the iTunes store for over a year and a half, bringing audiences regular releases throughout the year. Each release focuses on the best short film offerings within a particular category or genre: from seasonal themes to special exclusive releases such as the Oscar short films and the annual AFI short film release. They have just released another 14 AFI films for purchase and download, one of which is Peter's APPARENT HORIZON. For only $1.99, it's a bargain! Director Thymaya Payne was honored to be asked to complete an AFI Thesis film, which was awarded the Fotokem thesis grant and premiered at the AFI Festival in 2006. Starring Peter, Myra Balugay and Matthew Carey, the 22-minute film tells the story of a Thai mail-order bride, who moves to the US with her new husband in search of the American dream. However, she soon discovers that the world she hoped for is actually an emotional prison. When the director was asked how he came to cast Peter in his film, he responded, "When I was writing the script, I was in a Pedro Almodóvar phase. I was watching all of his films over and over again during a brutal Berlin January. One of my favorite Almadóvar films, KIKA, stars Peter Coyote as this insane American serial killer. He is so vulnerably evil. I loved it. I cut out a picture of him and put it on my wall. He was Joseph. So when it came time to cast, I wrote him a letter. He said yes, came down and taught us all what filmmaking is about. He is honestly one of the coolest guys I have ever met." Tichina Arnold, who filmed "THE LENA BAKER STORY" with Peter last fall, recently reported that the saga of the first African American woman to be executed in Georgia is now looking for distributors. She says, "People come away from seeing it in tears. It's a great thing for the filmmaker, Ralph Wilcox, a great project. I really want people to come around and see it and be changed." 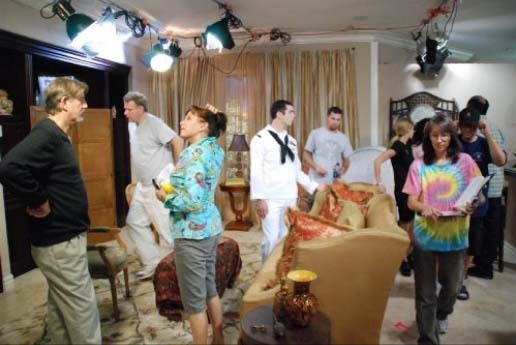 Peter plays her employer Ernest Knight, a part Tichina says that "a lot of actors were wary of playing. He did an amazing job. We worked very well together." Last year Peter joined forces with Viggo Mortensen and Sheryl Crow in hosting a poignant documentary called "Saving the American Wild Horse". Directed by James Kleinart, the film examines the politics behind the Bureau of Land Management’s (BLM) controversial policies regarding wild horses on public lands and questions the fate of America’s Wild Horses and Burros, whose very existence is in jeopardy. 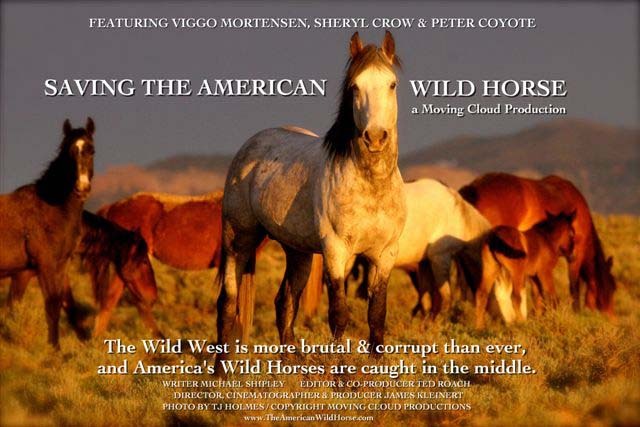 Through interviews with scientific experts, ranchers, historians, wild horse owners, animal rights activists, environmentalists and others, the filmmaker examines the origins and effects of the recent "Burns Bill" which gutted the Wild Free Roaming Horse and Burro Act of 1971 and cleared the way for the slaughter and removal of a vast majority of the wild horse herds. The 26-minute documentary was screenedon Capitol Hill in Washington, D.C. back in September. A Coyote-narrated documentary called "Alaska Far Away" has been making the film festival circuit. Narrated by Peter, the film was recently named Best Documentary at the Muskegon Film Festival and will be screened at the Fargo Film Festival on March 6th and at the Wisconsin Film Festival the following month. 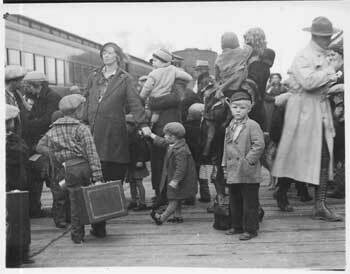 In the midst of the despair of the Great Depression, the U.S. government gave 200 struggling midwestern farm families an extraordinary opportunity: a chance to start over in far-away Alaska. This documentary tells the story of this bold government experiment, and the families who found themselves thrust into the national spotlight along the way. You can read a great interview with Peter in the fall issue of Heyoka Magazine where he discusses various topics including his childhood, Commedia d'el arte, Leonard Peltier and the Iraq war. This art-based magazine unites Eastern and Western philosophies to create awareness concerning issues of povery, human rights, the environment, endangered species, social/political injustices, psychological and spiritual health. 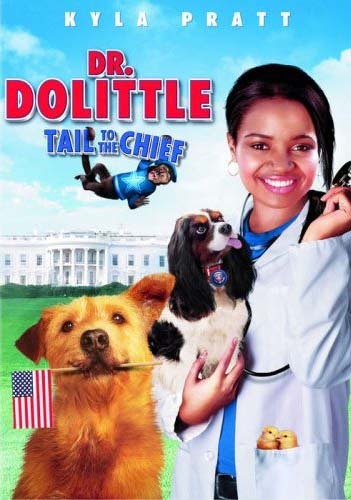 Fox's DR. DOLITTLE: TALE OF THE CHIEF is being released straight to DVD on March 4th. Directed by Craig Shapiro, the family comedy stars Kyla Pratt with Peter in the role of the President. In the continuing saga, Dr. Dolittle's daughter Maya applies to vet school but finds that getting accepted is a lot tougher than expected. But when the President of the United States needs her help to work with the First Dog, she finds she can help the country, and impress the acceptance comittee. Kyla Pratt has been playing Maya in several "Dr. Dolittle" sequels since the 1998 film with Eddie Murphy. Another Coyote-narrated documentary has surfaced this week. It's called "The Long Walk: Tears of the Navajo", produced by KUED Television in Salt Lake City. It was first aired in November 2007. The one-hour film by award-winning producer John Howe tells one of the most important stories of the American West. In a lost chapter of our nation’s history, eight thousand Navajo men, women and children were marched at gunpoint through the scorched desert of the American Southwest to a barren reservation along the Texas border. 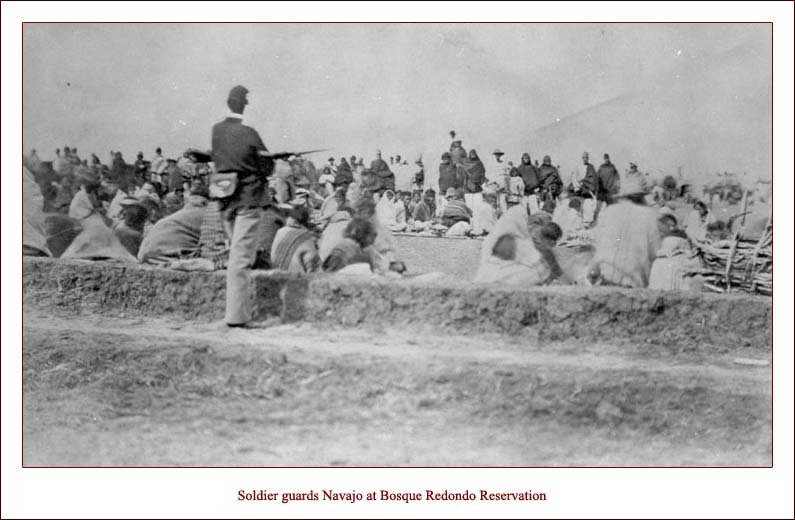 The 300 mile forced relocation to Bosque Redondo, ignored as it played out far removed from the carnage of the Civil War, was aimed at crushing American Indian resistance in lands that would eventually become the states of Arizona and New Mexico. Hundreds of Navajo died during the march and four years of forced isolation, far removed from their sacred homelands in the Southwest. The Navajo remember this tragedy simply as “The Long Walk." Back in 2004 Peter narrated another film about Native American Indians called "Spirit Riders" which chronicles the birth of the American Indian peace movement, begun in 1990 by the Lokota Nation. You can view a lengthy clip from the film at this HBO link. I've updated the "Audiobooks" page as many of the original audio cassette books are now being offered on CDs, such as "Zen Mind, Beginner's Mind", "Zen Flesh, Zen Bones", Gary Paulsen's "The Hatchet" and "The River", and Forrest Carter's "The Education of Little Tree". 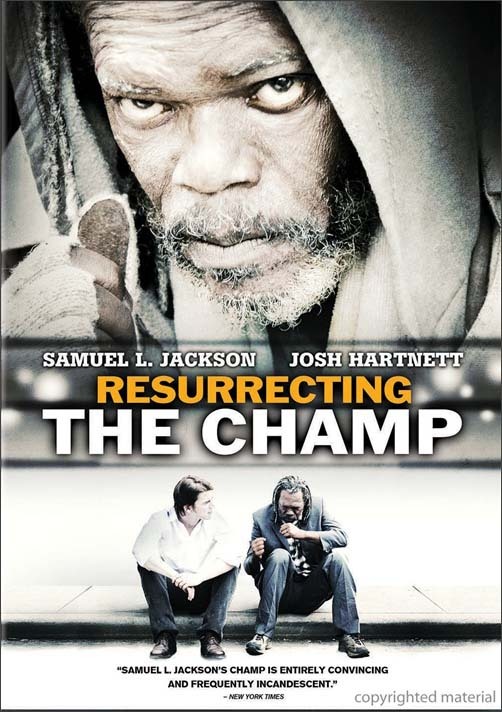 On April 1, the DVD of RESURRECTING THE CHAMP will be released. Based on a true story, the movie follows a Denver sportswriter (Josh Hartnett) as he struggles to take his career to the next level. After he encounters a homeless man (Samuel L. Jackson) who claims to be a former boxing champ long thought dead, he stumbles upon the story of a lifetime - one that could result in his downfall. Peter has a small role as fight manager Ike Epstein. He hoped it would be hard to recognize him and indeed it was. The film, directed by Rod Lurie, also stars Alan Alda, Teri Hatcher and Kathryn Morris. Next Wednesday’s episode of Law & Order: Criminal Intent originally aired on November 15th, but if you missed it, then you'll have the chance to see Peter in a guest appearance. 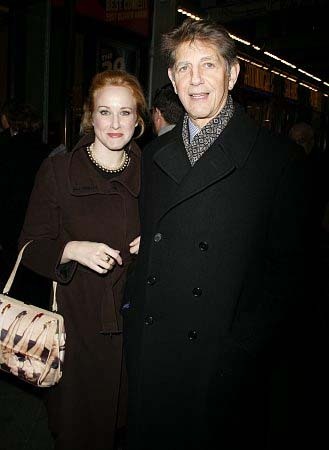 On Tuesday night Peter was in the Big Apple attending the Broadway premiere of Alfred Hitchcock's "The 39 steps". 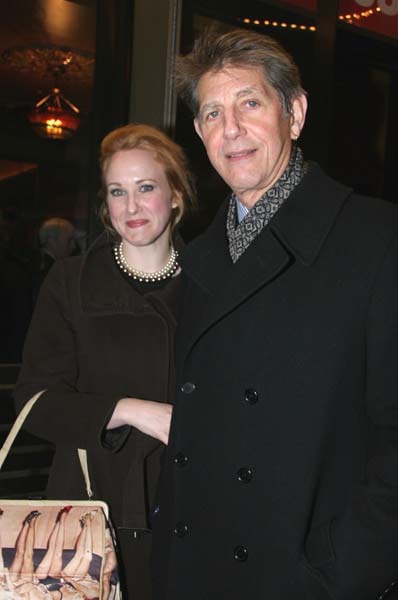 Here are several photos from that evening showing him with actress Katie Finneran (his co-star from "The Inside" TV series in 2005). Renowned filmmaker Ken Burns is in the process of producing and directing a major documentary series entitled, "The National Parks", scheduled to premiere on PBS stations in the fall of 2009. And Peter is lending his voice to this great project! As in his past productions, Burns will be using archival film records to make his documentary less of a nature or travelogue show and more of a truly American experience. The six-part, 12-hour series will tell the story of how the parks came into being and what they have meant to Americans for more than a hundred years. It will be filled with major historical figures - from John Muir to Theodore Roosevelt to Ansel Adams - but it will also tell the stories of many lesser-known Americans, from cowboys to immigrant artists, wealthy philanthropists to dirt-poor farmers who turned their passion for a part of the American landscape into crusades for their permanent protection. 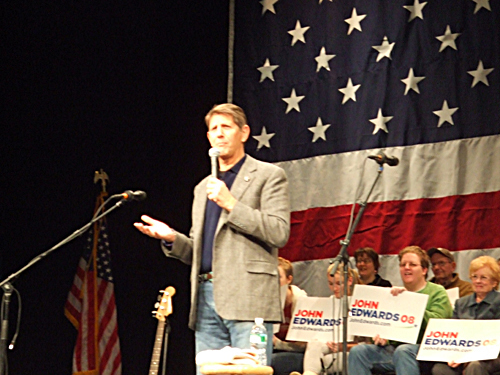 Peter previously collaborated with Ken Burns for "The West" series on PBS in 1996. 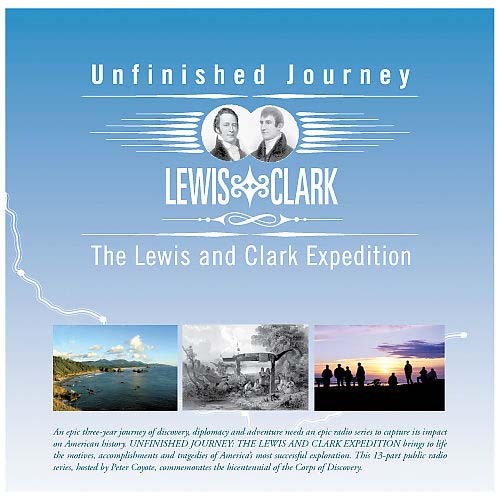 Back in 2006, Peter hosted a 13-part radio series on PRI (Public Radio International) called "Unfinished Journey: The Lewis and Clark Expedition" commemorating the 200th anniversary of the expedition. The series used journal passages written by expedition members and essays written by top scholars to illuminate the history of the American West. It provided a snapshot of the social relationships of the day in both native and white culture, with a look at how 21st-century Americans are trying to restore some of what has been lost since the expedition sought a water route from the Missouri River to the Pacific Ocean. This audio series is now available in these three formats - You can download the 11-hour program at audible.com or purchase it on a DVD-ROM or in a 13-pack CD set. 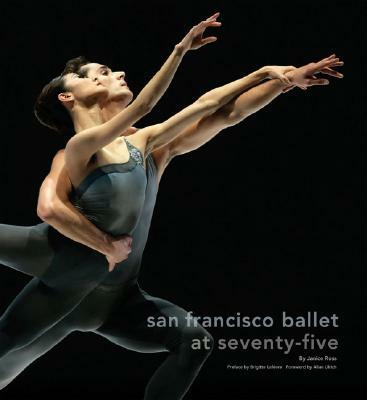 In November 2007 Chronicle Books published a commemorative book and DVD in celebration of the San Francisco Ballet's anniversary. In "San Francisco Ballet at Seventy-Five", dance scholar and historian Janice Ross explores the company's ascent from its humble beginnings in 1933 to its current status as an internationally acclaimed cultural institution. The illustrated volume, with more than 100 full-color and archival photographs, includes a DVD, narrated by Peter, that provides insight into the Company's illustrious history, including interviews with key insiders and exclusive footage of rehearsals and performances. On January 8, 2008, Warner Bros. released one of Peter's earliest films, TELL ME A RIDDLE, starring Melvyn Douglas, Lila Kedrova and Brooke Adams. Actress Lee Grant made her directing debut with this film. Douglas and Kedrova are both superb with Peter turning up in flashbacks as Douglas's younger self. 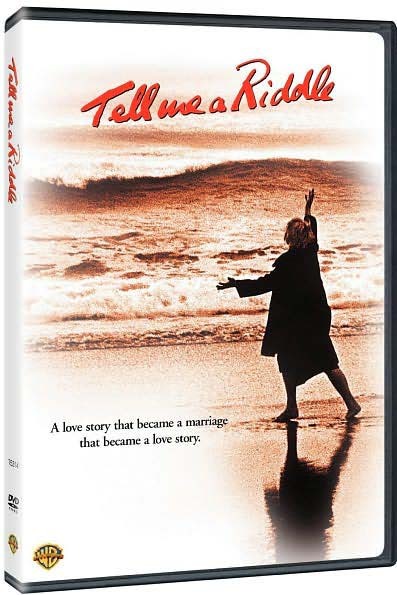 Based on a novella by Tillie Olsen, the film tells the story of an elderly woman striving to express her last will and testament, unacceptable to her husband and children, but intuitively understood by her granddaughter. Premiering in 1980, it was the first feature film in America to be written, produced and directed by women,. the first women's film to raise more than a million dollars and to receive major studio distribution; and the first women's film to get into the Cannes Film Festival's 'Directors's Fortnight.' In 1981 it was among the films shown in the Jewish Film Festival that went on a 10-city national tour. It was released on video in 1988. If you enjoyed Kedrova's Oscar-winning performance in "Zorba the Greek", you'll love her as Eva! On December 18th Democratic presidential candidate John Edwards employed some good friends to keep his campaign from running on empty during the final weeks leading to the January 8 primary. 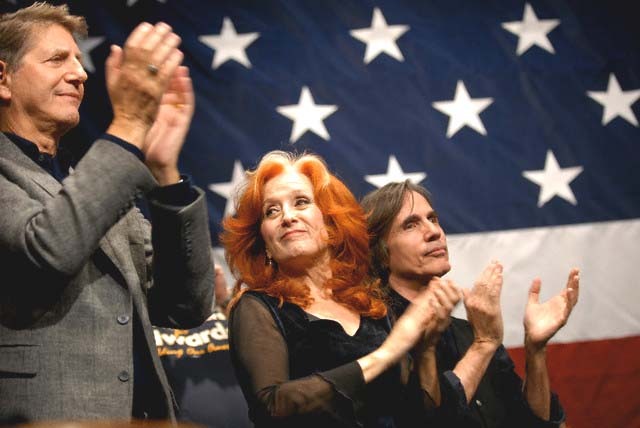 In Lebanon, NH, musical recording artists Bonnie Raitt and Jackson Browne entertained a jam-packed crowd at the Eaton Auditorium on the campus of Daniel Webster College with Peter providing the introductions for the evening. Peter was quoted as saying, "This is where the rubber meets the road. This is real democracy, and I am loving being in New Hampshire." The event was covered by C-Span's Campaign for the White House. Here's a link to a video of Peter's introduction. From the Santa Rosa Press Democrat: "Conservation celebrity: Even Petaluma’s getting in on the act of having famous folks do our voice-overs. 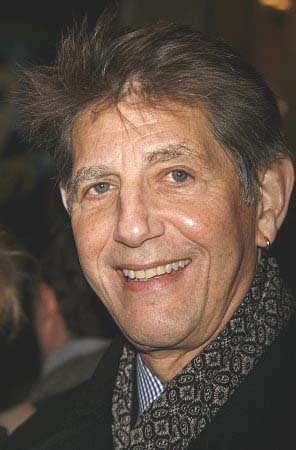 The NBC Nightly News has Michael Douglas, CNN has James Earl Jones, and now the water resources and conservation department has actor Peter Coyote lending his vocal talents to a new video. The footage, which will be posted on the water conservation section of the city’s Web site and aired on PCA, has Coyote narrating a typical “Waterwise House Call” in which conservation experts give homeowners tips on everything from fixing leaks to irrigating the lawn properly." 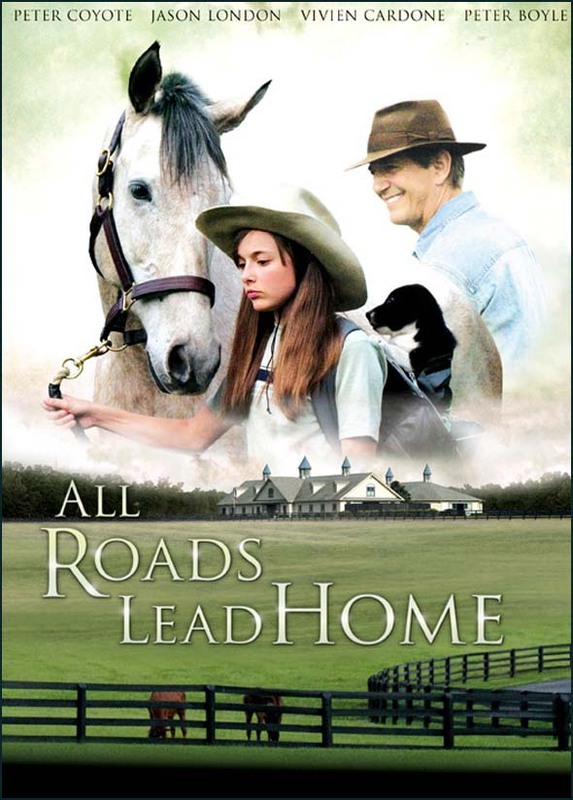 The Santa Barbara International Film Festival will feature the world premiere of ALL ROADS LEAD HOME on January 27th. It will be presented in their AppleBox category. The January 24-February 3 festival, now in its 23rd year, will feature 215 films. Next month the film will also be screened at the International Family Film Festival in LA. There is still no official date for a theatrical release. Director Dennis Fallon says, "Peter could not be better suited for the role of Hock Banyon, Belle’s grandfather, who is as enigmatic as Peter himself." Principal photography for this film took place in the spring of 2006. You can view the trailer at the Waldo West Productions web site. Here's a scene from Peter's guest appearancee on USA Network's "Law and Order: Criminal Intent" which aired on November 15, 2007. In this episode called "Self-made" Peter takes on the role of Lionel Shill, a down-on-his-luck writer, who becomes a suspect in a murder case. Two years ago he appeared in an episode on the "Law and Order: Trial by Jury" drama series. As part of December's pledge drive on PBS, a special program on neuroplasticity and brain fitness titled "Brain Fitness Program" will be aired. This two-hour documentary, narrated by Peter, presents a workout to help viewers get their brains in better shape. The Brain Fitness Program is based on neuro-plasticity, the ability of the brain to change and adapt, even rewire itself. The show will feature experts in the field of neuroplasticity, including Dr. Norman Doidge, Sharon Begley, and Dr. Michael Merzenich, founder of Posit Science and creator of the Brain Fitness Program software. This program is a fantastic opportunity to learn more about how our minds work and to find out more about the latest in cutting-edge brain research. Check your local area listings at this link. Peter has also narrated a film for his hometown. The state Council on Youth Relations will screen a documentary on youth homelessness in Marin. 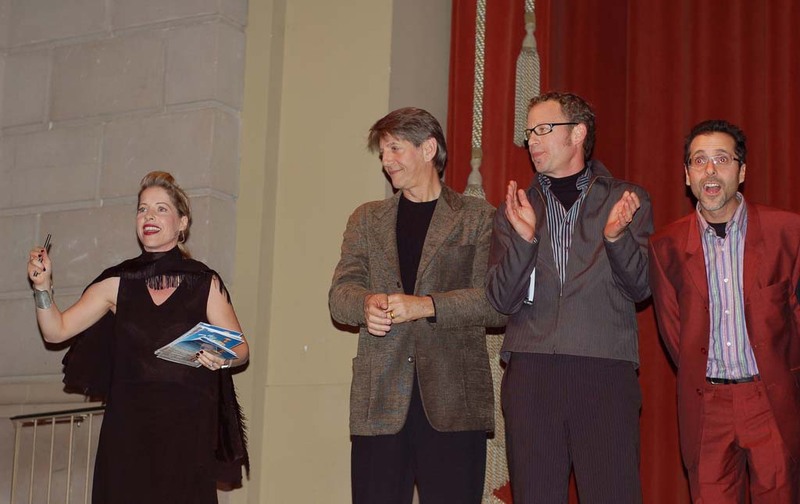 The documentary, titled "Youth Homelessness: A Growing Trend," was filmed by Ambassadors of Hope and Opportunity, a Mill Valley nonprofit formed in 2005. The film includes comments from Assemblyman Jared Huffman, D-San Rafael, and San Rafael Mayor Al Boro, in addition to former homeless community members. The screening, set for 11:30 a.m.this Thursday in the California State Library building in Sacramento, is part of a policy initiative on youth homelessness conducted by the state council in conjunction with the California Research Bureau and the state Wellness Foundation. On November 3rd Peter participated in a benefit concert, Music for Mother Earth, at the historic Fillmore Auditorium. The event brought together Native American leaders and high-profile celebrities alike with the aim to raise funds and awareness for the Longest Walk 2: a walk across America for the environment taking place in 2008. The Longest Walk 2 is a 4,400 journey that will commemorate the 30th anniversary of the original Longest Walk which took place in 1978 and work to bring attention to today's critical environmental issues. The Longest Walk 2 will begin in San Francisco in February 2008 and end in Washington D.C. in July 2008. 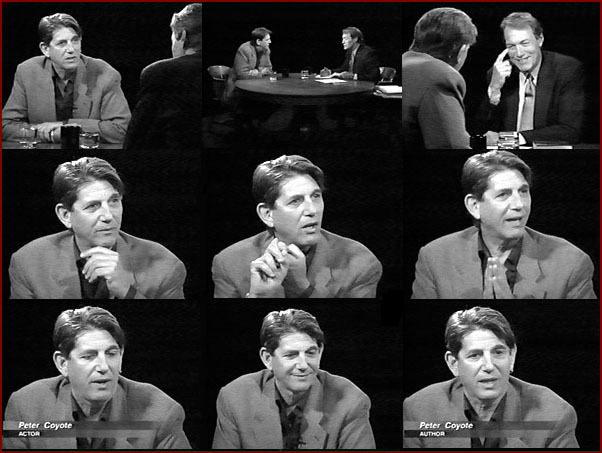 For those of you who may have missed the Charlie Rose interview with Peter back in 1999, the DVD of that show is available at Amazon.com. 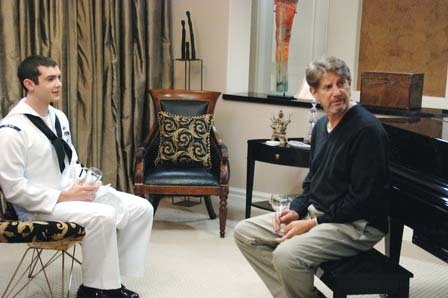 Here's the description for the July 19th show - Three days after the crash of John F. Kennedy Jr.'s plane off the coast of Martha's Vineyard, a conversation about his life and his family's legacy with Jack Newfield, author of Robert Kennedy: A Memoir, Richard Reeves, author of President Kennedy: Profile of Power, and journalist Abigail Pogrebin of Brill's Content. 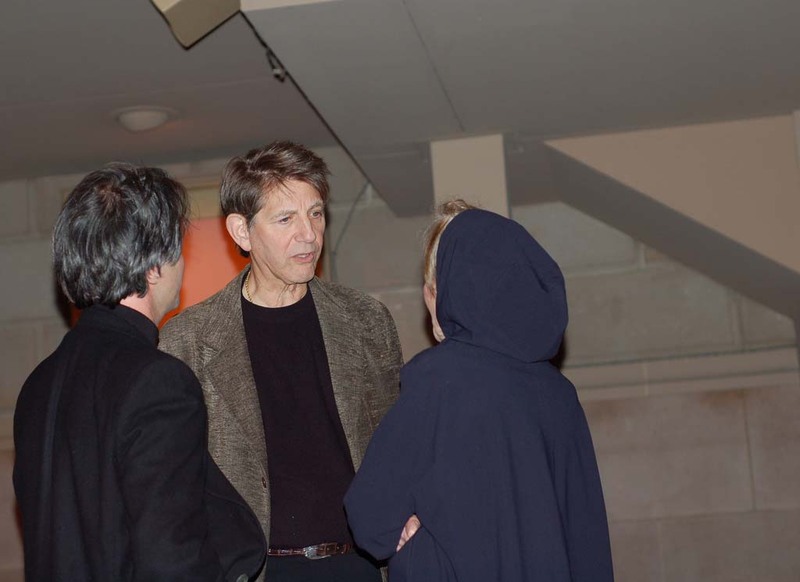 Later, an interview with actor Peter Coyote. Coyote, a former member of The Diggers theatre troupe, discusses his life in the 1960s and his book Sleeping Where I Fall.